We had a dormer flat roof replaced; new guttering; rotten timber beneath the dormer pitched roof plastic facia replaced and new facia installed; dormer pitched roof re-pointed; gable end of 2 story house re-pointed and facia made weatherproof; chimney cowl installed which allows us to use our gas fire; ridge tiles repointed; chimney lead flashing made secure; replaced damaged felting in back roof. The team arrived on time and not only did they carry out a professional job with the repairs but also cleaned the facia of the complete house. They not only did an excellent job but also cleaned up every night after they had finished. I called Aidan on a Saturday based on the reviews and ratings here. The job was to replace a couple of tiles dislodged by my son trying to kick his football over the house! Aidan offered a visit the next working day, and then called later that same day after it started raining to offer a visit on Sunday if I was concerned that any water was getting in. I thought that was very good of him. Fortunately there was not water getting so, so I waited until Monday, and he arrived with his men at exactly the time agreed, and they got to work assessing the problem and repairing it. They made sure to protect the roof while working on it and because they managed to do the repair fairly quickly, charged me less than the estimate. Very happy to recommend him. Aiden and his team installed loft and roof insulation, as well as repairing my garage roof and resolving leaky leadwork. Aiden was very clear about what the options we're, as well as the costs and timeframe to undertake the work. His team were very considerate about mess and diligently cleared up afterwards. I am very pleased with the outcome. Replaced all existing guttering and repaired soffit and damaged tiles. Very straightforward to deal with - price paid was as quoted and work is to a high standard. We cannot recommend Aidan Carroll and his men high enough. They recently replaced our roof and guttering. This was done very efficiently, with the minimum of fuss and disturbance, and at a fair and reasonable price. Aidan and team were not only friendly and courteous, but they took great pains to carefully explain what they were doing, and what we should expect and by when. In fact, they went further than this ? even coming out spontaneously on a number of occasions when they thought the high winds and rain were causing us alarm. We are absolutely delighted with the top quality work and assurances Aidan has provided. He is a dedicated and highly professional businessman, with excellent inter-personal skills. 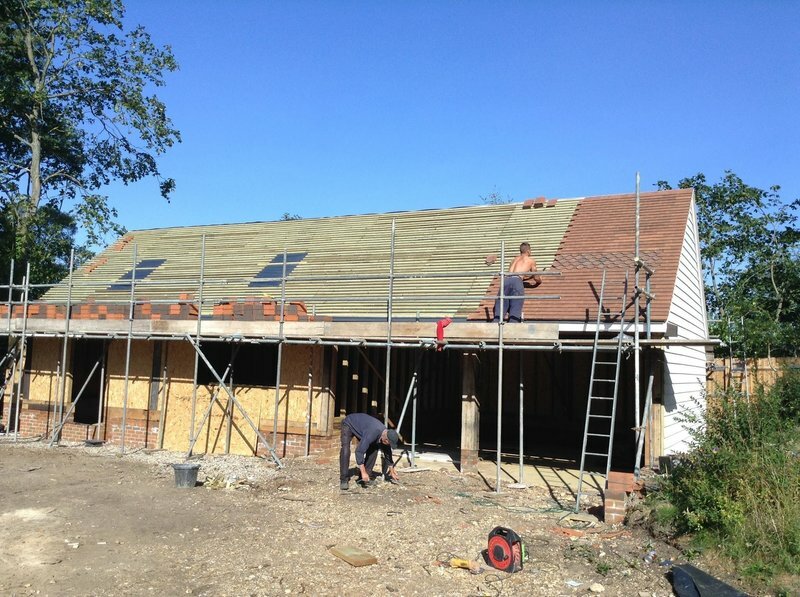 He richly deserves the various industry body accreditations he is receiving, and we would happily give his name and details to anyone who needs roofing work undertaken. We cannot recommend Aidan Carroll and his men high enough. They recently replaced our roof and guttering. This was done very efficiently, with the minimum of fuss and disturbance, and at a fair and reasonable price. Aidan and team were not only friendly and courteous, but they took great pains to carefully explain what they were doing, and what we should expect and by when. In fact, they went further than this ? even coming out spontaneously on a number of occasions when they thought the high winds and rain were causing us alarm. We are absolutely delighted with the top quality work and assurances Aidan has provided. He is a dedicated and highly professional businessman, with excellent interpersonal skills. 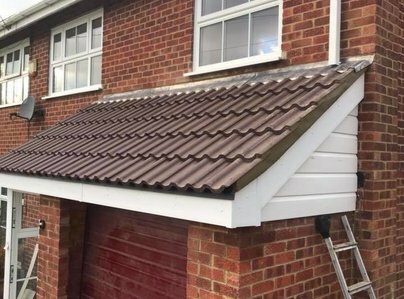 He richly deserves the various industry body accreditations he is receiving, and we would happily give his name and details to anyone who needs roofing work undertaken. I contacted Aidan on the basis of 14 other Which? reviews and he didn't disappoint. Within the space of a couple of days he came and assessed the necessary repairs needed to my roof, emailed a very reasonable estimate together with evidence of insurance cover and the work was promptly carried out by his team of three in a polite and friendly but professional and efficient manner. He has 25 years of roofing experience behind him and I sensed that he enjoys and takes pride in the work that he does, most of which is as a result of recommendations. I would certainly not hesitate to use him again. We contacted Aidan because a long-term leak was discovered in the roof of our 1903 3-story semi, and there was damp in a chimney wall on the other side of the house (the leading around the chimney was suspect). Aidan told us two sets of scaffolding would be needed, and gave us an estimate for the whole job which we agreed. Then I took pictures through a skylight and it was clear some re-pointing of the chimney would be needed. Aidan & co eventually repointed the whole chimney, leaded the gulley which had caused the leak, and fixed other problems which became apparent when he was up there, keeping us informed throughout, and all to the original estimate. Highly recommended. Aiden Carroll recently did a very fine repair on our 1984 roof and he carefully matched the mortar between the tiles. His work was meticulous and he tidied up around the site after the job was complete. His price was for everything required and there were no extras. We were extremely pleased with his work. Absolutely delighted. Aiden and his team came and replaced several tiles on a very old roof. The tiles were very difficult to reach an he did it with the minimum of fuss. We can only reiterate what everyone else has said. Aiden and his "team" arrived promptly and completed the work to a very high standard. We have had problems with a leaky roof over several years and despite employing various contractors the problem was not solved. Aiden was able to pinpoint the cause and we are very pleased by the result. The site and surrounding area was left clean and tidy. We would thoroughly recommend this company. 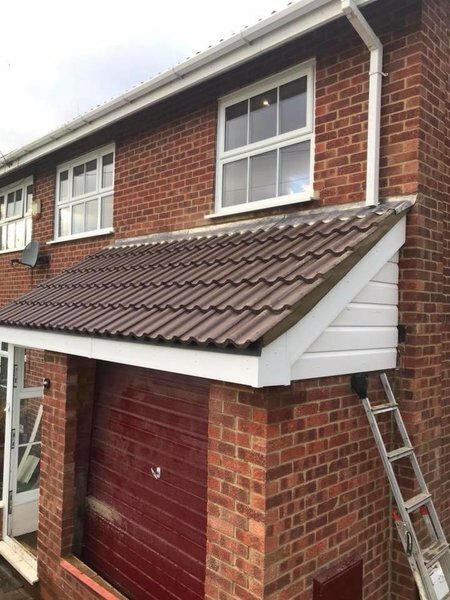 Having seen previous good feedback on this contractor on Which Local, next door neighbour and I accepted their quote to re-roof our flat roofed duplex garages. A pleasant, skilled contractors turned up, work has been done by craftsmen in their field. Finished job superb. Work on site was clean, careful and friendly. Pricing for job was vry reasonable indeed. Would recommend using this contractor. A&J Traditional Roof Renovations provided a competitive quote for the re-felting of our garage and kitchen flat roof. Their work is of a very high standard. They were reliable and kept us updated at all stages of the work. They cleaned up on a daily basis. We are very pleased with the job they have done and we would highly recommend this company. We noticed a leak in our ceiling and looked on Which Local for a recommended local roofer and found several good reviews for Aidan at A&J Traditional Roof Renovations. Aidan turned up promptly for the appointment we had made with him, found out the source of the problem (fairly minor: some slipped slates) and came back again as per appointment two days later to do the repair. Aidan was friendly and helpful and the cost seemed in line with what to expect for a roofing job. We would contact him again for any roof problems. Replaced lead valley using new code 4 lead in two sections of roof and replaced matching Welsh slates to restore original appearance and waterproofing of Victorian roof. Work was carried out professionally and photos taken of the roof before, during and after as evidence of proper skilled workmanship. Work guaranteed for 25 years. Aiden has recently replaced our roof (August 2012). Our roof had not been touched since 1930 and we knew it needed work. Aiden gave us an honest and accurate assessment of the work that needed to be done. Aiden and his team have re felted, re battened and upgraded the insulation in the loft. His work is of an excellent standard and he is a true master craftsman - he is honest hard working and reliable. He charged us a reasonable price for the work and was very accurate about what it would cost - there were no horrible surprises and "extras". I highly recommend him. He was recommended to us by word of mouth and rightly has an excellent reputation. After a quick browse of Which? Local we chose Aiden to replace the felt roof of our gabled garden summerhouse. At the end of several weeks of drought, strong winds had torn off the existing felt - just before some heavy showers arrived. To protect us from further rain, Aiden and his assistant came at fairly short notice and quickly made us watertight again. They did an excellent job, tidied up after themselves, and charged a very reasonable price. They also did some remedial work to our house roof for good measure. What more can you ask? I strongly recommend. I've used Aiden for flat roof replacement twice. He relies almost entirely on personal recommendations, based on the high quality of his work. The team was friendly and hard working and cleaned up after themselves on a daily basis. The work was to a good quality and very good value for money. All types of roofing supplied, also soffits and fascias.